Winery? Tuscany touches? Soft Blush? Gold lettering accents? 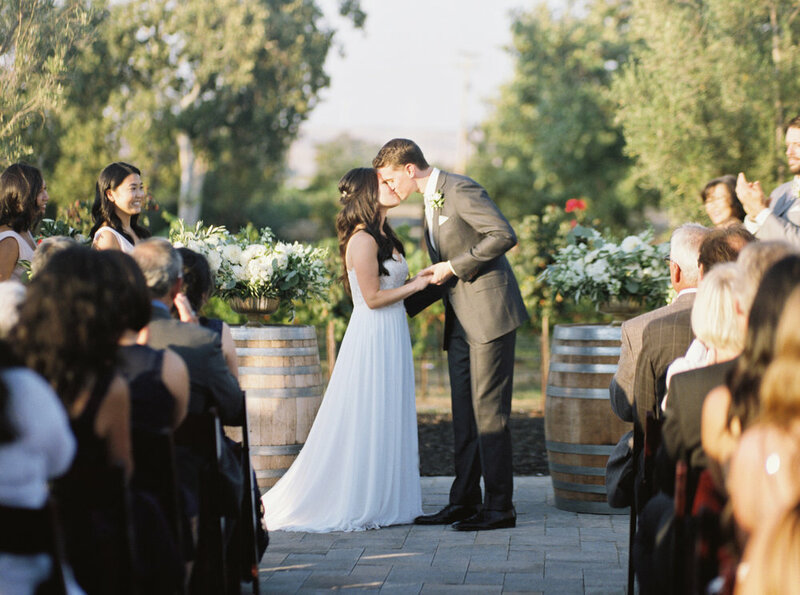 This wedding is for you! When Kristen and Nicholas contacted us we knew we had to work with them! 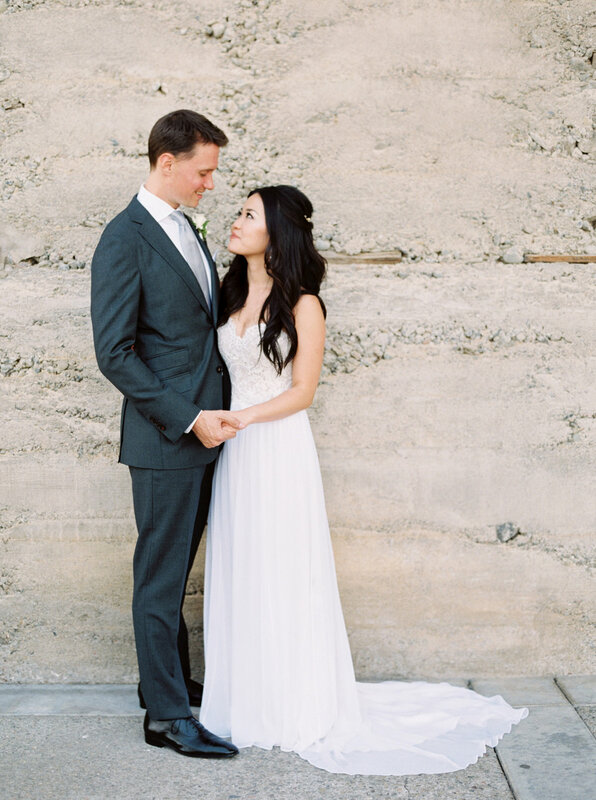 One of the sweetest couple we have ever had the honor of styling, planning and coordinating for shines in this gallery. 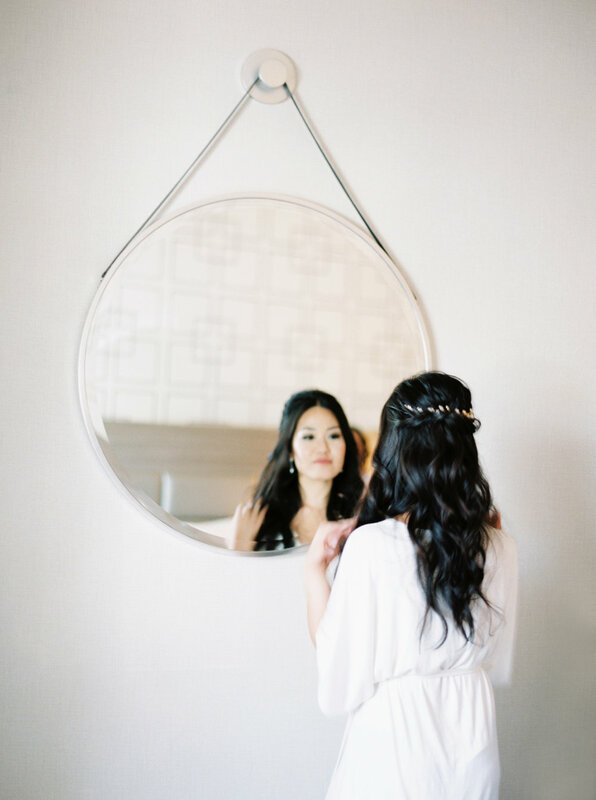 A bride's moments in the morning, getting ready, prepping, looking at her jewelry, her wedding dress and just taking a moment to herself and putting on her shoes - those moments are so important for the bride to remember and take it all in. It also helps if you have an amazing photographer to help capture those moments and details! 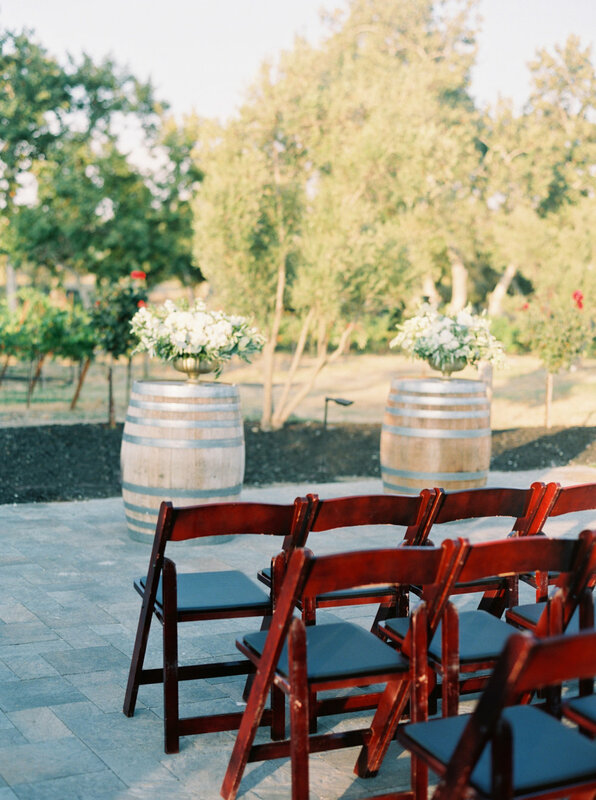 Murrieta's Well in Livermore has an outdoor area for ceremony that lets photographers capture beautifully lit images! 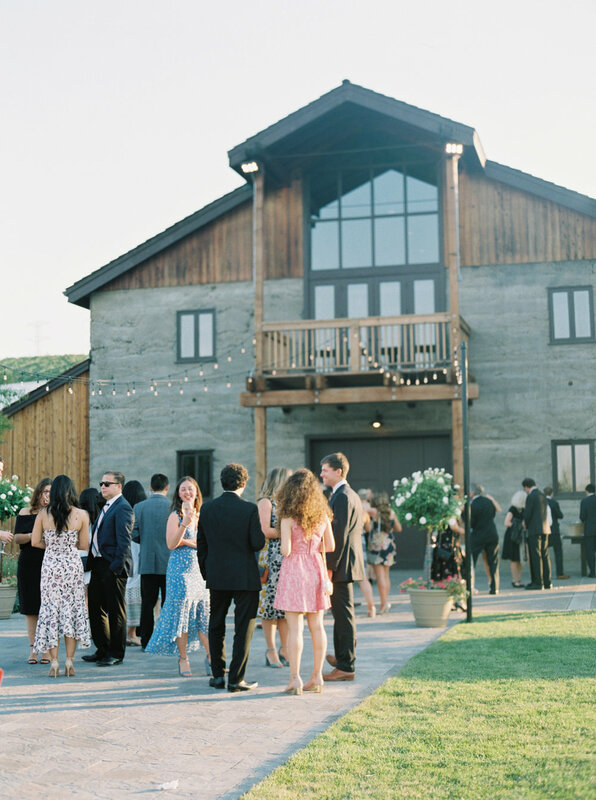 From the details of the signage, the ceremony arrangements, the processional entrance, the First Kiss, to capturing the guest mingling and enjoy the venue during cocktail hour. 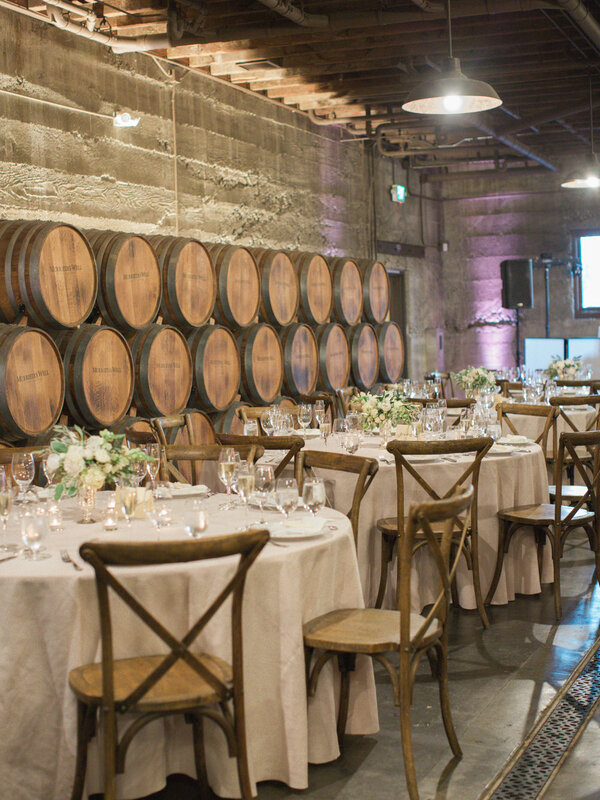 Such a relaxing sophisticated atmosphere oozing with winery elegance. 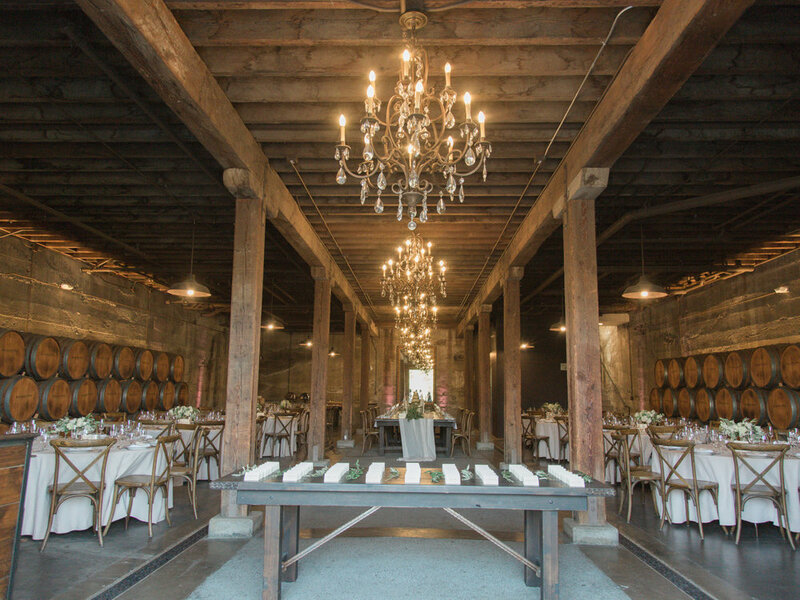 Murrieta's Well in Livermore has an indoor area for reception let lights up with the glow of the candles and their beautiful chandeliers! 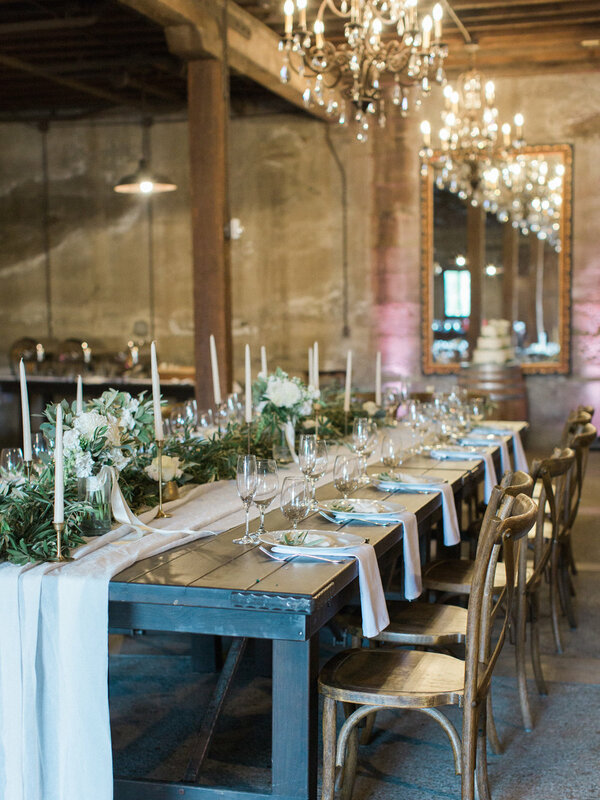 From the impressive long farm tables to their elegant rounds, from their wooden breams to their polished concrete floors the venue is giving off vineyard elegance! Bellevue Floral Co. placed stunning garlands, centerpieces & we placed olive leaves per place setting to tie it together - leaves courtesy of the bride's adorable aunt! There were also gold accents with gold calligraphy table numbers, signage and the golden glow of candle light and the gorgeous chandelier topped everything off! 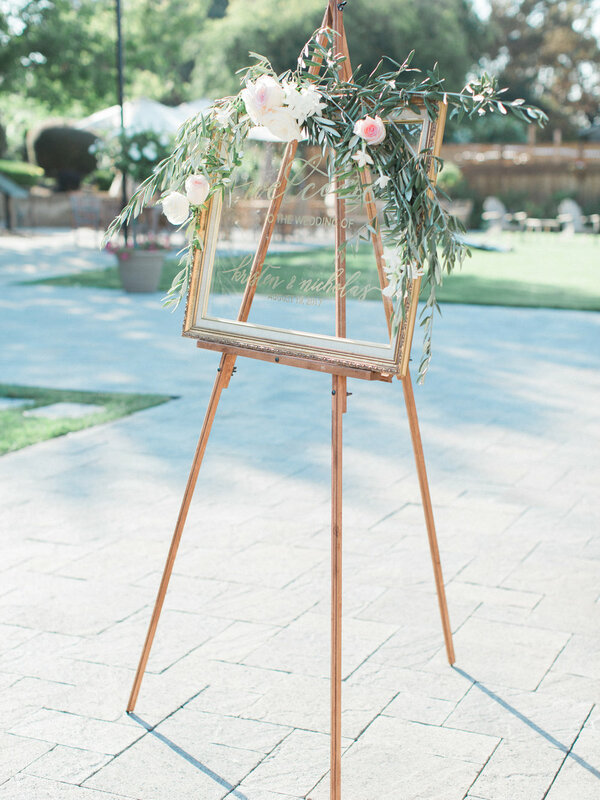 A sophisticated affair that wouldn't break the bank! What's one of the best ways to save on flowers? Have more greens! We incorporated olive branches and leaves all over to tie in the design of the wedding while paired perfectly with the white rose centerpieces! 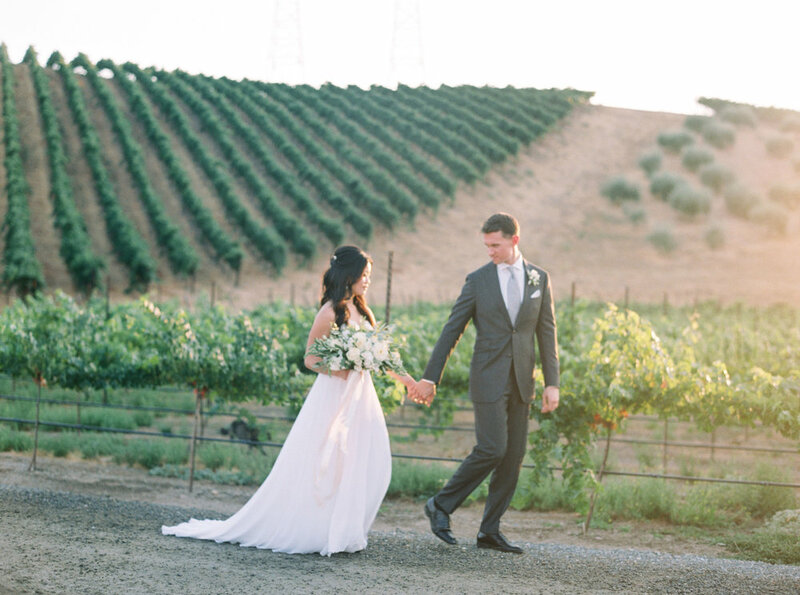 Kristen and Nicholas wanted an elegant Tuscany inspired affair that was beautiful by day and romantic by night. 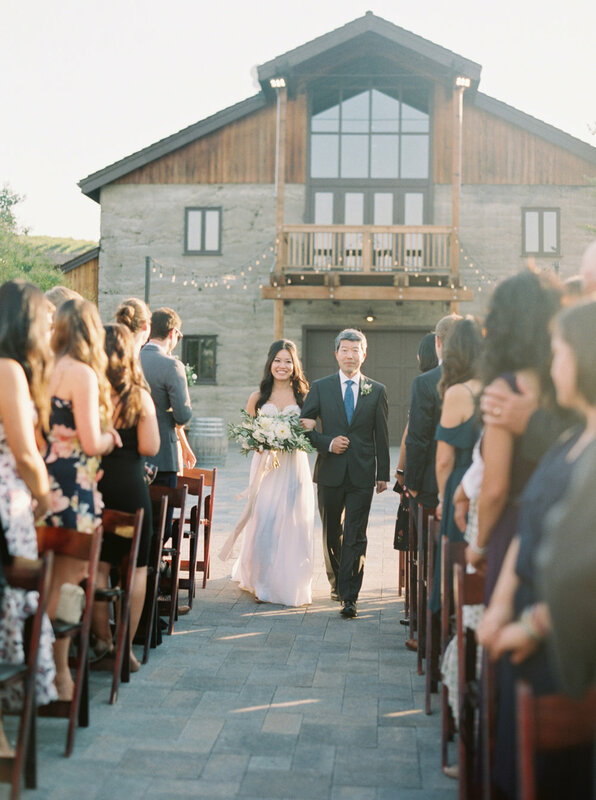 Other than the details previously mentioned; soft blush from the bouquet silk ribbons and the bridesmaids dresses added an extra feminine touch to this loving affair. We wish Kristen and Nicholas the very best! But these images speaks for themselves of our in love and surrounded with love they are. Cheers to the happy couple!